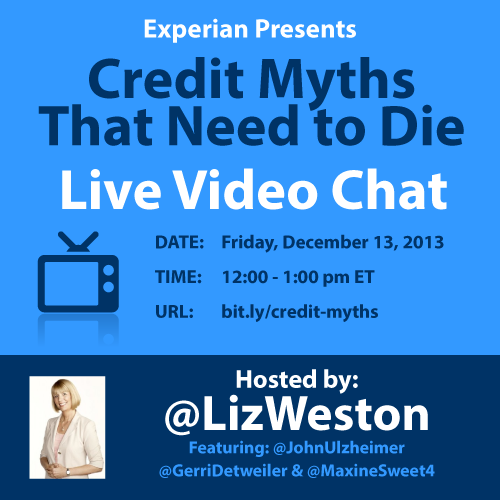 Personal finance journalist and credit expert Liz Weston hosts this video panel discussion on credit myths and provides her insights along with John Ulzheimer (CreditSesame.com), Gerri Detweiler (Credit.com), and Maxine Sweet (Experian). Liz Weston is one of the most-read personal finance columnists on the Internet, according to Nielsen/NetRatings. She’s an award-winning, nationally-syndicated personal finance columnist who can make the most complex money topics understandable to the average reader. As an expert on consumer credit issues, Gerri Detweiler has been interviewed for more than 3000 news interviews including The Today Show, Dateline NBC,The New York Times, USA Today and Reader’s Digest. She has also testified before Congress. Gerri is Director of Consumer Eduction for Credit.com. John Ulzheimer is a nationally recognized expert on credit reporting, credit scoring and identity theft. He is the President of The Ulzheimer Group and the credit blogger for CreditSesame.com, Mint.com, SmartCredit.com, CreditCardInsider.com and the National Foundation for Credit Counseling. 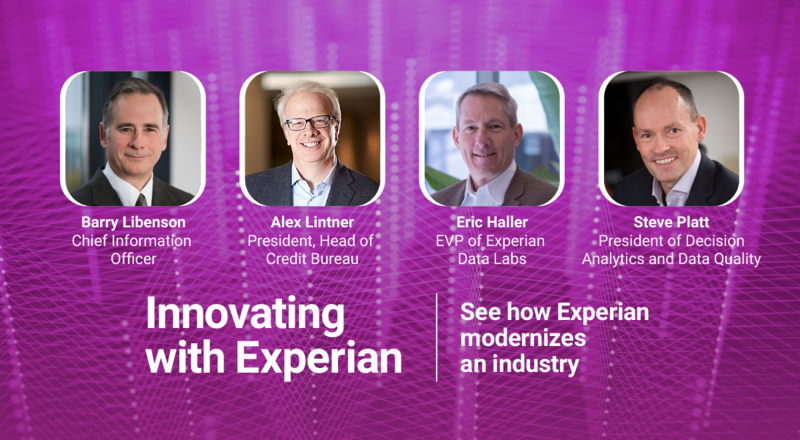 Formerly of FICO, Equifax and Credit.com, John is the only recognized credit expert who actually comes from the credit industry. He has served as a credit expert witness in more than 140 cases and has been qualified to testify in both Federal and State court on the topic of consumer credit. Maxine Sweet is vice president of Experian North America’s Public Education organization and leads Experian’s consumer education team. Maxine is responsible for helping consumers understand credit reporting and use credit wisely. She strives to protect the benefits of information use in a way that balances the interests of business with the concerns of consumers.